Boston designer Barbara Vail helps make interiors, and hearts, sing. Barbara Vail uses her degrees in nutrition and design to bring a sense of wellness into her interior design projects. Barbara Vail thought she wanted to be a doctor when she grew up. “I liked to fix things, people and spaces.” She studied health sciences and earned a degree in nutrition. 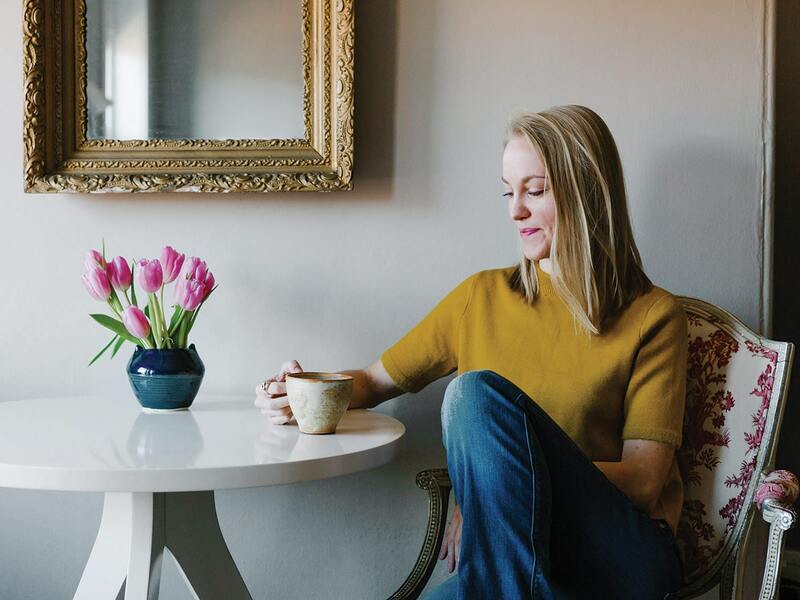 Then the daughter of ceramic artists discovered her passion for interior design and earned yet another degree, this time at Boston Architectural College. Since then, she’s combined her zest for wellness with designs that help her clients create spaces that feel as good as they look. I look at the impact of a space with an eye on function and wellness. I consider myself an empath; I am very sensitive and bring that to my work. I am also certified in reiki. All of this helps me access the energy of a person or a space, which helps inform my design. WHAT LED TO THIS APPROACH? I realized most of my clients were in transition—breakups, births, new jobs—and craved cozy retreats and fresh starts: emotional uplifts, really. I noticed the profound impact that the redesigned spaces had on their well-being. WHAT IS YOUR PROCESS WITH CLIENTS? I help people discover what brings them joy. A client who is a global health worker realized she really responded to patterned textiles and Asian art. Another, who is a doctor, decided to paint his own artwork. WHAT KINDS OF ELEMENTS DO YOU INCORPORATE IN THE INTERIORS YOU CREATE?